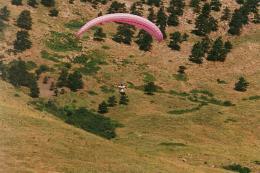 Join me on my photo-enhanced adventures throughout the United States and various destinations overseas. 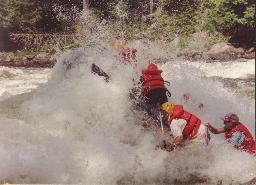 Adventures include hiking, biking, canoeing, whitewater rafting, urban sightseeing, scuba diving, skiing, kayaking, paragliding, parasailing and skydiving. Many of the places described on this site are very special. Irreplaceable. Treat them with care and respect. Please tread lightly. Do no harm. In the OTHER life I lead, I am a town planner, quality of life specialist, and urban designer. 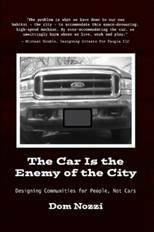 Click on this link to order my most recent book, “The Car is the Enemy of the City.” A press release about the book is available. My previous book, published by Praeger Publishers, is "Road to Ruin." If you are interested in learning about the origins of suburban sprawl, creating a quality of life for people instead of cars, and are concerned about traffic congestion, I would recommend that you order your copy of one of these books today. Visit my community design website or my Plan B blog site to read what I have to say on those topics. Or schedule me to give a speech in your community about transportation and congestion, land use development and sprawl, and improving quality of life.